We launched a powerful brand for this relationship coach. Kelli is one of my favorite people! She has a quick wit and her passion for others is on another level. 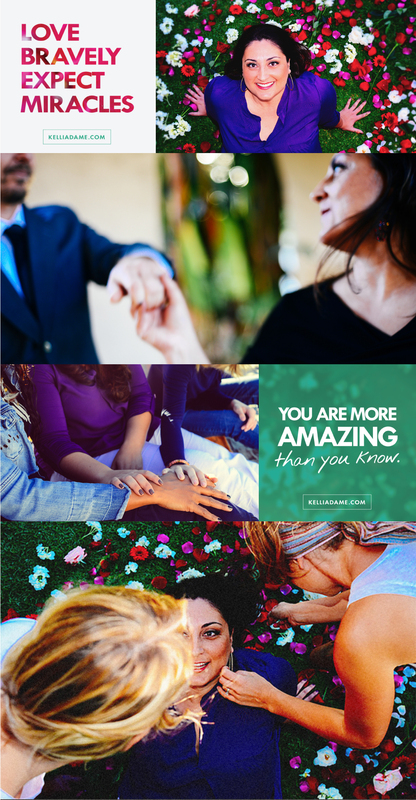 She’s a game-changing relationship coach driven to help people experience more understanding, fulfillment and joy in romantic relationships. She desired a brand that was encouraging and authentic, delivering honest impact to singles and couples. We worked very closely with Kelli to develop and launch her entire brand from scratch. Her existing site was hard to read, didn’t capture her personality and didn’t easily communicate how she was solving their needs. Her big vision needed an epic brand to match. 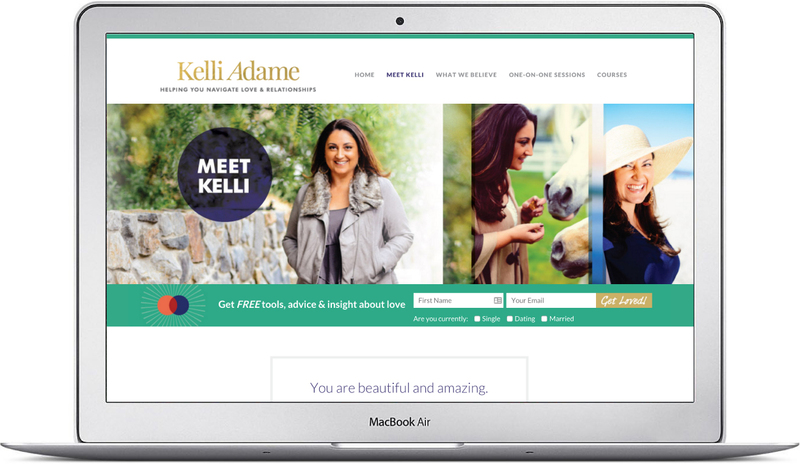 A brand, website and marketing materials that truly captured Kelli’s depth and wisdom. To showcase the soul of her business and purpose for others. And the website needed to be like a 1-on-1 session with her. We made sure the design was personalized, honest and clear. 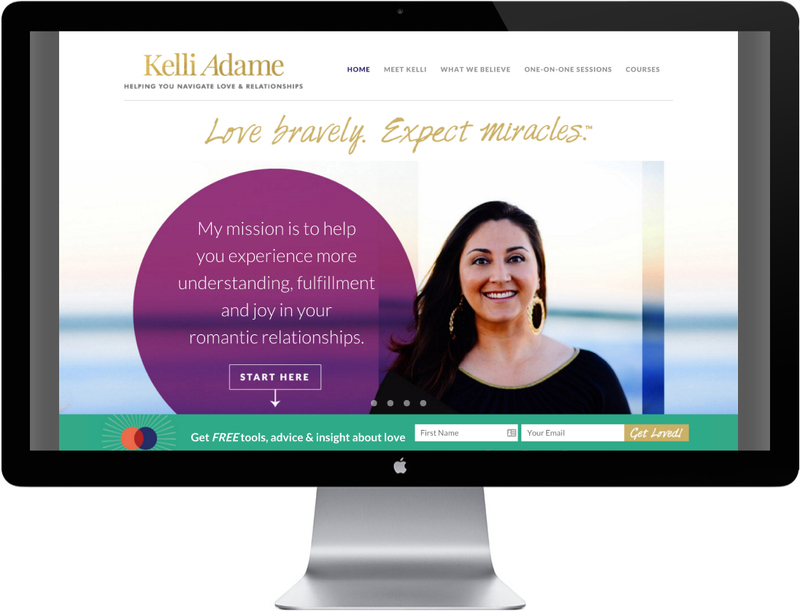 The colors, fonts and imagery capture Kelli’s essence – her bold yet deeply caring heart. A user-friendly website with effective resources and info that showcases her offerings. A complete brand experience that feels warm, encouraging and thoughtful. Art directing photoshoots are one of my favorite parts of branding. Photos can help tell your story and message effectively, while showing hints of your brand personality and uniqueness. I worked with Erika Doria, our photographer, by creating shotlists to maximize our shoot day and make sure we captured all the photos we needed for the website and marketing library. This flower shot below was one of my favorite to create. 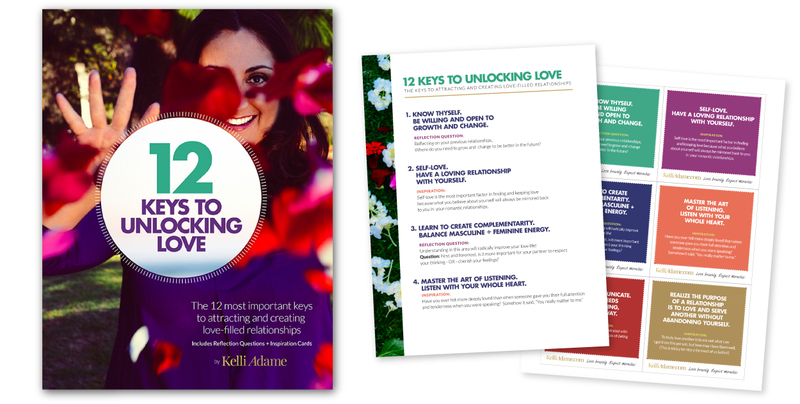 I wanted Kelli to be sitting on the grass with a bed of flowers to show off love yet “grounded,” smart advice she shares with her clients. Project Credits: Photography by Erika Valentina Doria. Web Development by Love-Inspired. Michelle is deeply passionate about her work and is committed to helping her clients bring their business and vision to full expression and impact in the world. She’s a true pleasure to work with professionally. She is positive, engaging and overdelivers with creative genius. If you want to work with extraodinary creative talent, I highly recommend you work with Michelle.